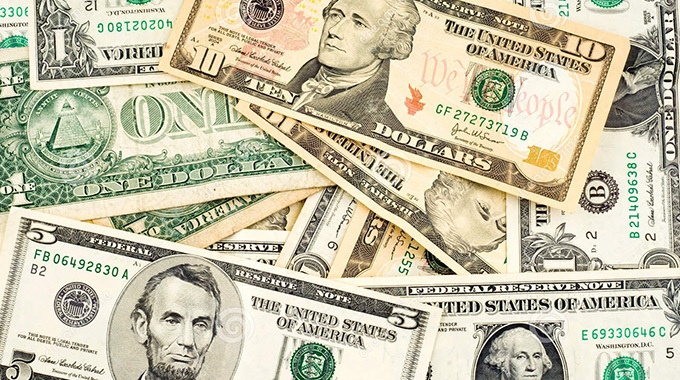 LAND developers in Mutare are now demanding outstanding payments in US dollars or RTGS at prevailing parallel market rates, leaving aspiring house owners at risk of losing out on both the land and subscriptions they have been paying for years, The Herald has learnt. Members of several housing cooperatives in Mutare such as Hillview near Dangamvura are crying foul over the land developers’ move to convert to black market rates. Hillview Housing Cooperative has about 700 high-density residential stands beneficiaries. Members of the project who spoke to our Manicaland Bureau said they feelt cheated by the land developers. One of the members, who spoke on condition of anonymity for fear of retribution, said he was paying his contributions on time and the balance of $1 000 was now being converted into US dollars at parallel market rates. “I think this is unfair,” he said. “I have been paying my contributions in recent years in RTGS or bond notes and the remaining $1 000 is now being converted into US dollars. “What that means is that I am being asked to pay US$1 000 and in essence I am now starting all over again. I think we desperately need the intervention of authorities in this predicament. A member of a different housing cooperative, who also spoke on condition of anonymity, said land developers seemed to be taking advantage of the situation to demand outstanding payments in US dollar terms. “I think these land developers want to make the most out of the prevailing situation,” she said. “How can we be asked to pay outstanding subscriptions in US dollars when we were paying in RTGS? After all, we do not earn US dollars at our workplaces. Zimbabwe Housing Company land developers, who rolled out the Hillview project, confirmed repackaging the outstanding subscriptions in current US dollar parallel market rates in order to meet the costs of completing servicing the residential area. The company’s co-director, Mr Charles Dengura, said they had no choice but to repackage the outstanding payments in US dollars so that they could deliver on servicing the residential area. “We have not asked the members to pay strictly in hard currency only,” he said. “What we have done is to repackage the outstanding payments in US dollar terms. You are aware of what is happening in the economy. “We still have outstanding works and the prices to do that have skyrocketed. We could have easily terminated agreement of sales and simply resold the stands, especially for those who have gone beyond the periods that they were supposed to have finished payment. Don’t blame the developers, the government does the same thing. This is painful reality. Surely insisting on paying Bond Notes @ the initially agreed prices is being unrealitic. Just know that Land Developers are not Donors, they are business-people who should make profit in order to remain in business. They are not even Gvnt, which one would ordinarily expect to subsidize its citizens. Surely they are not both of these. Can’t you also see that when ED pegged fuel @ $3.30/L he was simply talking of 3.3 Bond/litre, which was the prevailing exchange rate to the USD (and the real one not the fictitious 1:1). So, guys just get real & pay up if you want your Stands and if you want the job done. Of coz we sympathize with you knowing how hard life is now in our country; but honestly the Developers are not being unreasonable. Unless there are other issues to complain about.